1947… was a marker for India; the event led to destruction, migration, loss, it bought out hell, hunger and war, world of rapture for the most. Alongside, it was an event that earmarked unity, bravery, admiration, dedication and pride; for some, these were the heroes who embarked onto serving the nation until their last breath. It is cumulation of these unparalleled efforts that gave our country an opportunity to imagine our identity as one, which was our own national identity. To acknowledge the eternal fight of the soldiers who are always at war for us to be at peace, to pay tribute to those who don’t seek remembrance and still become immortal, to salute our unshakable faith in Indian army’s devotion, this war memorial is accumulation of these diverse emotions, associations and memories that build the narrative for it. 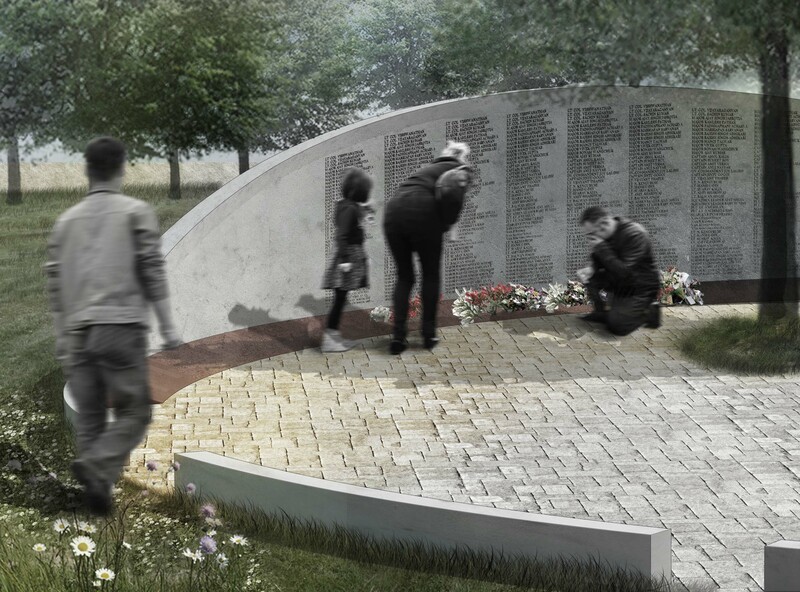 This war memorial is a catalyst in enhancing ones feelings by providing a space of solitude under an umbrella of organic. The space of war memorial does not compete but appreciates, does not distract but adds value to the seven decades of our independence. 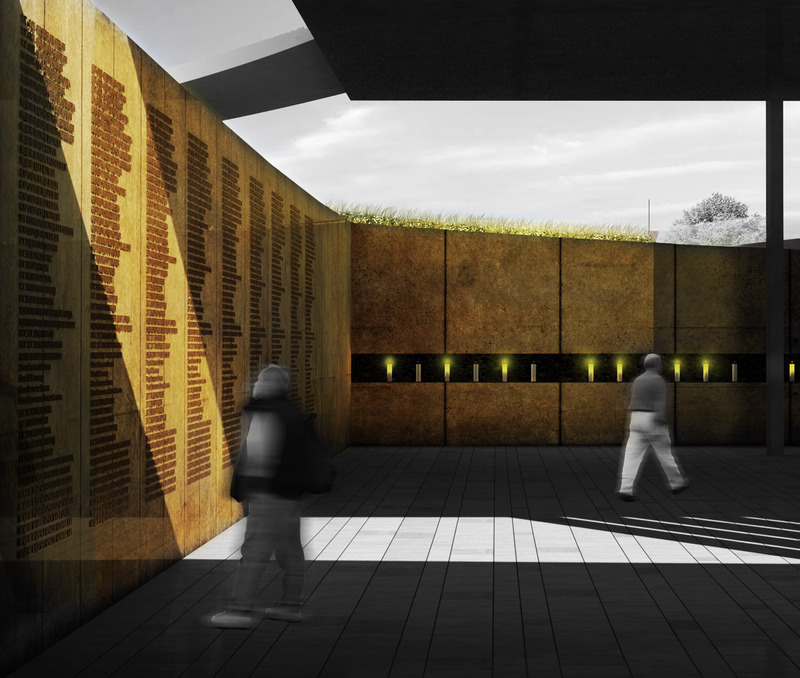 Although the memorial camouflages with the site setting and differs from the monumentality of a super structure in construction but it is strongly grounded in the nation’s belief in a democratic, grounded, universally accessible and a porous space. Metaphorically, the war memorial is a strong and evoking representation of our progressing needs and changing ideas of monumental. Lawn II is used for the main commemorative hall as this location offers a balanced link between India gate and the proposed war museum. 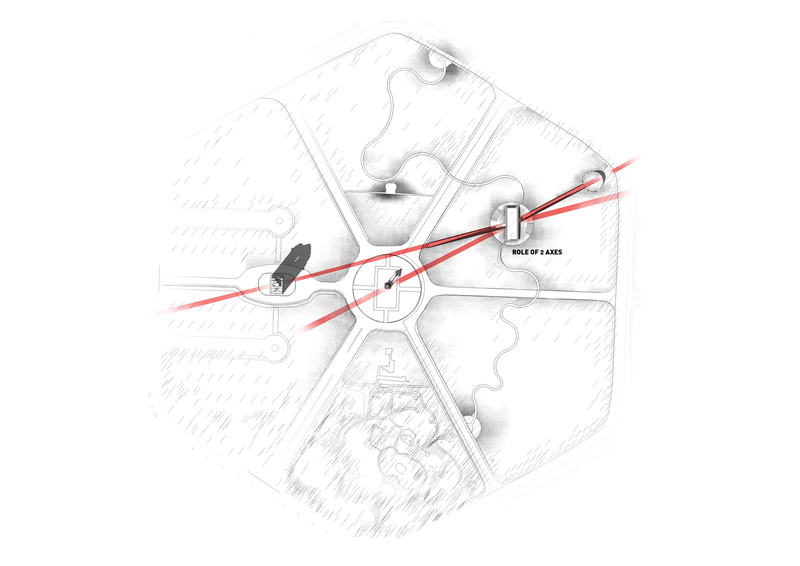 Lawn I has minimum site modification because of already present features like trees and public convenience. The public toilet facility will be revamped and be a part of the war memorial intervention. 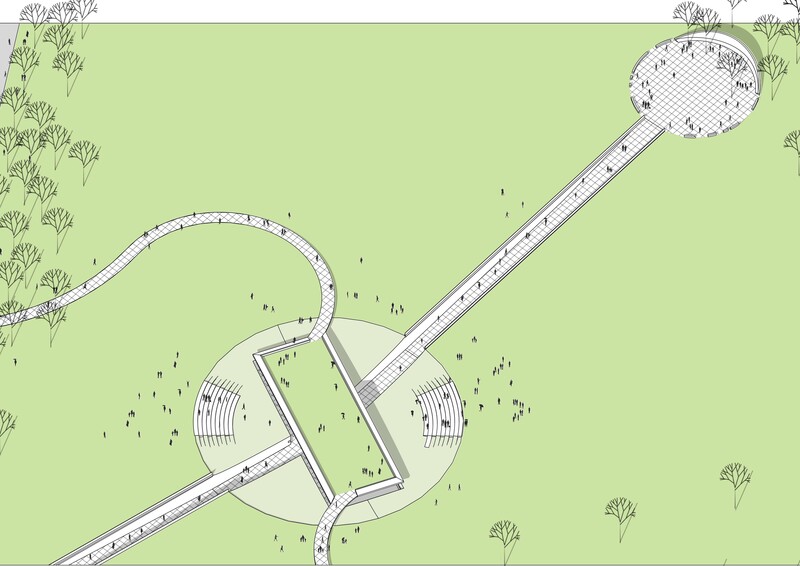 The location of the memorial offers a number of nodes and link, these links are knitted together with a free-flow pedestrian path tying together all the elements to form a “gestalt”. 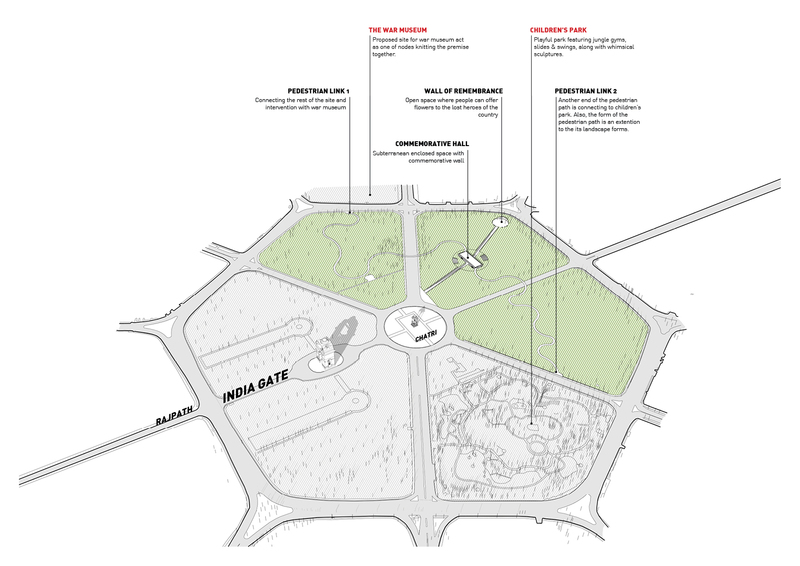 The clues for the form and materiality of the memorial have been derived from India gate and Chatri (canopy). 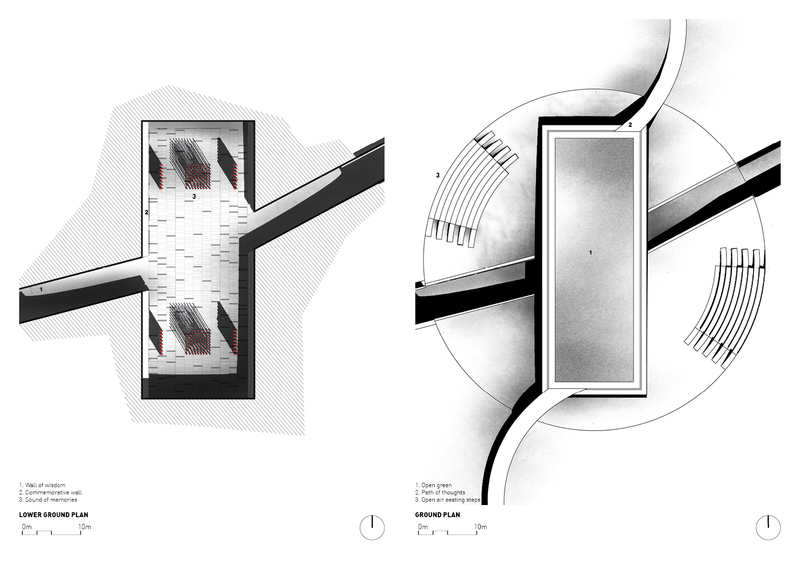 The juxtaposition of circle and a rectangle is a result of the hints that the site offers. Sound of memories is a re-interpretation of the “aeolian harp”, a stringed instrument that produces harmonic sounds when a current of air passes through it. 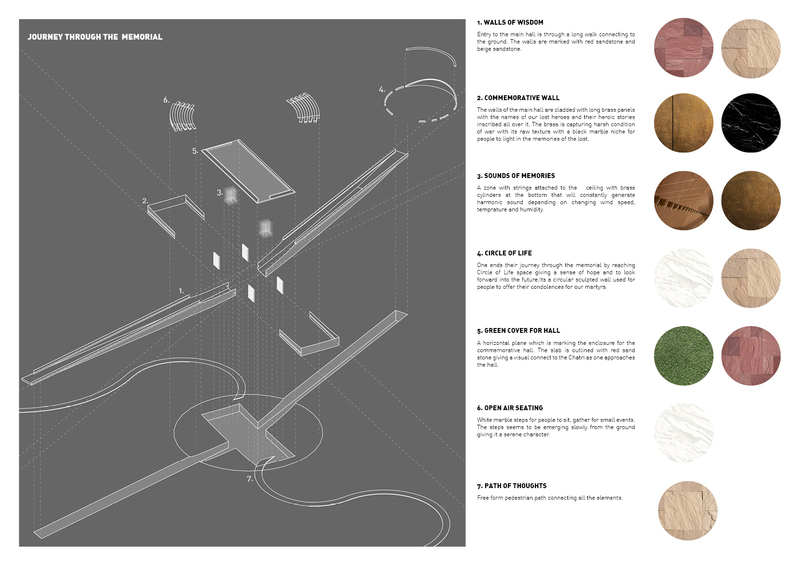 The idea is to fill the space with constant harmonic sounds and to give an inception of associations, attachments and memories of war and their martyrs.